The Price of New iPod Nano is Rs 12,500 /- According to the apple Website : At just 5.4mm thin — and about the size of a credit card — the new iPod nano is the thinnest iPod ever made. The 2.5-inch Multi-Touch display is nearly twice as big as the display on the previous iPod nano, so you can see more of the music, photos and videos you love. Buttons let you quickly play, pause, change songs or adjust the volume. The smooth new anodised aluminium design makes iPod nano feel as good as it sounds. And iPod nano wouldn’t be iPod nano without gorgeous, hard-to-choose-from colours. 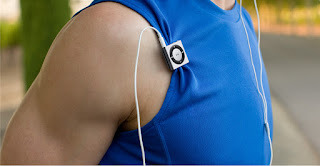 iPod Shuffle is available at Rs 3700/- only. While the facination for the Worlds most admired company "Apple" is on , apart form the Most Awaited Apple iPad mini and iPhone 5 , the iPods are loosing the limelights from the Media. Checkout the Features of New Windows 8 and the Windows Surface if you want to know the latest trenda in Consumer Electronics!